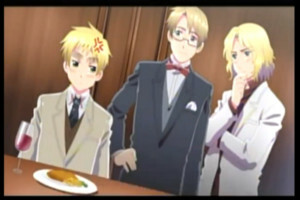 Gakuen Hetalia screenshot رات کے کھانے, شام کا کھانا. . Wallpaper and background images in the Hetalia club tagged: photo england america france aph.